Of all the words put to page, lyrics put to melody, or ideas put to screen in the twentieth century, there exists one story in particular that has had such a lasting impact on popular culture that it has no doubt shaped every story that has proceeded it in one profound way or another. This story, belonging to the genre of science-fiction, was given life by an eccentric, pensive, and intensely brilliant author whose sole reason for living, it seemed, was to reach out from his lonely perch with his cynical yet warm hand and gently touch the shoulder of each and every one of us who has ever pondered the true nature of humanity’s place in this hurly-burly we call existence. The story he penned was a truly remarkable piece of science-fiction that perfectly lived up to its genre by posing intensely haunting religious questions in a deeply fantastical world. This one story looked at the age-old question of predestination versus free will. 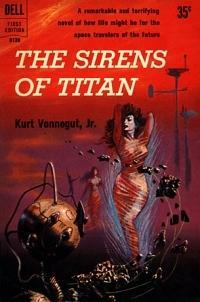 That story was, is, and will be the 1959 science-fiction classic Sirens of Titan by Kurt Vonnegut. Aha! With each and every one of you hundreds of thousands of Dear Readers being avid, fanatical devotees to my work, you know doubt thought that I would open this article with some sort of time-travel based nonsense inevitably leading into the announcement that I would be talking about the inimitable Chrono Trigger for this article. Well, you’re half right. I did have an entire opening planned about introducing you to my flying time ship, Capacitor’s A-Poppin,’ but it stalled on me somewhen around the signing of the Declaration of Independence, and I just didn’t have it in me to write that whole thing out. So, now I’m stuck with some awfully pungent radicals who keep asking me about how well democracy is doing in the future—you know, as a concept. I figured tackling one of video gaming’s most beloved and brilliant masterpieces would be easier than swallowing that frog, so here we are. Before we get into Chrono Trigger: I was serious about discussing Vonnegut’s Sirens of Titan. As any fan of Watchmen knows, the landscape of modern science fiction was architected by this book in particular, and, frankly, I don’t think any story in any genre has surpassed it when it comes to exploring the deeply religious problem of whether we have free will, or if we’re all walking on the track laid for us by some invisible force somewhere. Hmm. All right, well, maybe Chrono Trigger surpassed it. At the very least, it’s rivaled it. Regardless, before we jump into today’s video game, let’s dust off the bookshelves and take a brief look at Sirens of Titan. I’ve already told you when it was published and who wrote it, but the most important question for the setup of my article still remains: What is Sirens of Titan about? Let’s begin with what literally happens in the story, shall we? Winston Niles Rumfoord, a wealthy New Englander, decides one day to put that wealth to use and construct a spaceship so that he can jettison himself out of Earth’s orbit and explore the stars. While in the middle of said stellar exploration, Rumfoord’s ship encounters a phenomenon known as a chrono-synclastic infundibulum, which results in him being “unstuck in time”: he now perceives all of time simultaneously. Along with this inhuman perception comes the unfortunate side effect of repeatedly disappearing and showing up in different places all over the universe. Rumfoord is a not a great person, we discover, and he uses this newfound omniscience to set in motion a number of events that irrevocably changes the course of not only the lives of our other two main characters, Malachi Constant and Beatrice Rumfoord, but also the entirety of human history. He causes an attack on Earth from “Martians” (who are really just brainwashed humans he abducted) so that he can broker world peace; he mocks and torments Malachi and Beatrice over the course of years out of petty jealousy, ultimately making them into effective devil characters in his global religion “The Church of God the Utterly Indifferent”; and, through his pitch-perfect predictions of the future due to his being unstuck from time, he sells himself as that Utterly Indifferent God to the whole of the human race. Yeah, things are pretty good for ol’ Rumfoord—until we meet Salo the Tralfamadorian. On one of his jumps through space, Rumfoord lands on Saturn’s moon, Titan, where he meets a sentient robot named Salo. Salo is from the planet Tralfamadore, and has been sent on a peaceful mission across the universe to meet other life forms. His ship, powered by the omnipresent force that shapes the universe, “The Universal Will to Become,” has broken down in our solar system and he has been waiting for hundreds of thousands of years for a replacement part to be sent to him. Salo, an affable enough guy, explains that he used this “Universal Will to Become” to send messages back to Tralfamadore asking for the part. The messages took the form of human monuments like the Great Wall of China and the Egyptian Pyramids—and we slowly realize, as Rumfoord does, that all of human existence has been in the service of bringing this alien robot a spare part. And who should bring him that part? Beatrice and Malachi’s son, Chrono. Beyond the plot of Sirens of Titan, what is the story really about? To answer that, we first have to explore how Vonnegut lays out the nature of time in this story. It’s not strictly a linear progression of cause and effect, but rather a series of events that happens as it always happens, no matter what. Rumfoord doesn’t gain control of time or develop the ability to change outcomes: he simply sees all of time as if it were a story laid out before him. In fact, one of the earliest moments in the novel is Rumfoord literally explaining what will happen beat-for-beat in the pages of this book. He has knowledge of time’s construction, but no agency within it. This invites the question of whether or not humans have free will, which is a question Western religions have pondered for centuries. On the one hand exists the belief that God, as the poet Drake tells us, has a plan, and that everything therefore has been laid out in advance. We are also told, however, that God granted Man free will, i.e. the ability to choose for ourselves. Naturally, these two concepts are at odds with each other, for how can we truly be said to choose if the story has already been written? 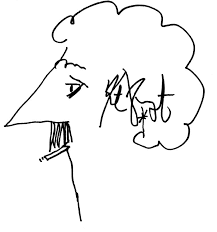 Vonnegut tells us that, yes, all of human existence is the setup to a cosmic joke, the punchline of which is literally delivered by a boy, named after the concept of time, in the form of a diminutive, meaningless-to-humanity spaceship part. But hope yet lives in Beatrice, folks. Beatrice comes to understand in her last days that, yes, all of human existence may be pre-ordained, but our thoughts and reactions haven’t been. Whatever happens, is happening, and has happened, will happen again and again in the cosmic tapestry of the universe, but we choose how to view it. A Chinese peasant working on the Great Wall was in service of a plan he had no agency over, but how he carried himself, how he treated his loved ones, and how he reflected on those immutable experiences time gives us were all his choices. But enough about all that—I’m sure that none of it will come back into play when I discuss Chrono Trigger in the article’s subsequent sections. And awaaaaaaaaaay we go! Take a trip back in time with me to 1995, back before Square Enix’s resident nutbar was Tetsuya Nomura. Yes, back in the halcyon days of Square, we had an eclectic mix of nutbars whose inventive chemistry produced countless classics that we all still hold dear to this day. Most eclectic and inventive of these collaborations was no doubt that of Final Fantasy creator Hironobu Sakaguchi, Dragon Quest creator Yuji Horii, and my main man, constant inspiration, and absolute madman: Dragon Ball’s creator, Akira Toriyama. This holy trinity came together and decided that they wanted to make a game the likes of which had never been made before. With the combined efforts of Sakaguchi’s brilliant writing, Horii’s iconic game design, and Toriyama’s character design (and just…you know, his all-around vibe, or whatever), they decided to dig into Square’s roots and create a game about time travel. And so, as if birthing a God from some holy brain-crevasse, they released Chrono Trigger for the Super Nintendo Entertainment System and changed the RPG world. That sounds hyperbolic, but it’s not really. Certainly we all have fond memories of this game, but beyond being a special experience to everyone who has played it (if the Internet is anything to go by), Japanese role-playing games and the RPG genre more broadly never really looked the same once this game was released. We will naturally go more into why in the “Impact” section down below, but it cannot be stressed how important this game is—not only to the individuals who played and loved it, but also to the video game scene in general. 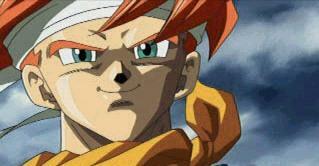 But after all that, does Chrono Trigger deserve to be remembered for all time in the annals of the Video Game Canon? Or should we bury it deep beneath the Earth and forget it until it inevitably bursts forth and destroys us all? Well come with me, Dear Reader, and we’ll be in a world of pure analyzation. We’ve talked a bit about Chrono Trigger so far, but the question remains: What is it about? Well, as long-time readers of this series know, taking a JRPG and breaking its story down is something of a bugaboo of mine because they can be so long and complicated. Naturally, I want to do them justice, but as with games like Final Fantasy VII or The Legend of Dragoon, to go through every single story beat can be a bit exhausting for both the writer and the reader. Luckily, though, despite being about time travel, Chrono Trigger has one of the more straightforward stories of any JRPG that comes to my mind, and it is so tightly-written that this story synopsis should be a cinch! Now granted, I know that this game has about a dozen possible endings, and I won’t be describing each of those in great detail. Rest assured, though, they’ll get their due down in the “Impact” section. We open in the year 1000 A.D. as Crono, our avatar, wakes up to the sound of the Millennial Festival bells outside his window. His mother tells him to have fun at the fair and to behave himself, and so down he goes to the town square to partake in a number of seemingly innocuous mini-games. While running around the festival, he bumps into a young girl named Marle, who drops a rather conspicuous pendant on the ground. After collecting the pendant and then herself, Marle introduces herself to Crono and they begin running around the fair together, playing games and learning about each other. But games cannot last forever: Lucca, Crono’s childhood friend and local madcap inventor, is about to unveil her teleportation machine to the fairgoers. Well, wouldn’t you know it, Marle volunteers for this totally unknown and apparently never-before-tested teleportation machine, and, following a strange reaction to her pendant, the machine causes her to disappear. Crono is distraught; Lucca is confused; the player is reminiscing about all the times teleportation has gone wrong in television and movies—it’s a whole event. 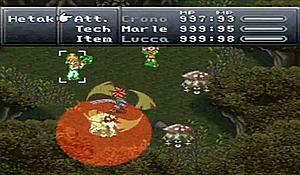 Luckily, the pendant was left behind, so Lucca encourages Crono to step into the device and try to recreate what happened to Marle so that he can find out what happened to her. Our boy does just that, and we learn that whatever reaction occurred on that transport machine sent Marle and Crono back in time to 600 AD, where there is still a war raging and no such thing as a Millennial Fair. Crono finds Marle—who, it turns out, is a princess in Crono’s time, and looks exactly like her ancestor, the queen, in 600 AD. 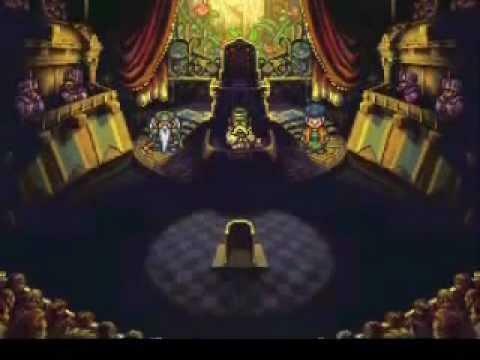 The real queen has gone missing, and, mistaking Marle for the queen, the royal guard brought her back to the palace. So begins the quest to find the real queen and bring Marle back to the future. Crono enlists the help of Frog, a sentient frog man who wields a sword. They find the queen, Lucca comes back to the past saying she knows how to control the portal now, and they all go back to their time to catch the end of the fair. The gang escapes to the far-off future, which has been decimated by that horrible creature, Lavos. What follows is quest after quest of trying to find out what Lavos is and how to stop it, with the cast of characters learning not only about the world, but also about each other. We learn about Marle, the impetuous yet heavily put-upon heir to the throne who does not get along with her father and resents his wishes for her. Lucca, the brilliant inventor whose obsession with machinery and the betterment of mankind through invention is the direct result of a tragic event with her mother. Frog, the gallant and well-spoken knight errant who has every reason to be broken and defeated by his encounter with the wizard Magus, but who chooses instead to fight for others and ensure that nothing terrible happens if he can manage to prevent it. Robo, the simply-named yet wonderfully-written robot from the future who, through his adventures with Crono, chooses to embrace empathy and help humanity prosper instead of attempting to destroy it like his automaton brethren eventually do. Ayla, the fierce and indomitable warrior from the distant past who will do anything to protect her tribe, no matter how large or small that tribe might be. 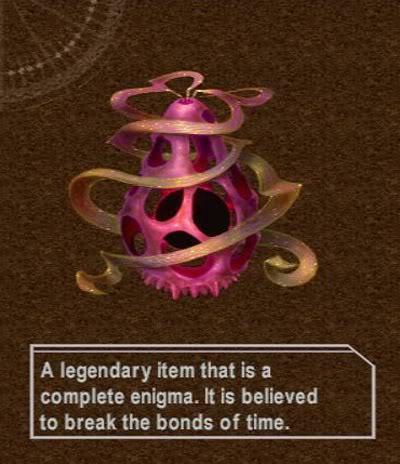 Finally, and perhaps most interestingly, Magus himself, whom we initially believe to be the reason that Lavos came to Earth in the first place, but who we eventually come to realize is simply trying to destroy the monstrosity that tore him from his time and family. Every character that composes the party in Chrono Trigger feels fleshed out, important to the story, and, most notably, alive. JRPGs famously tend to fall into the “annoying side character” pitfall, but not this game. 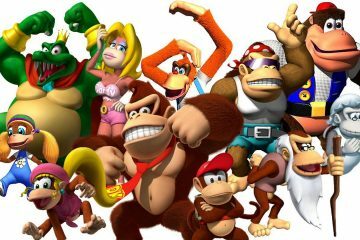 It is a relatively small cast for a role-playing-game party, but the different perspectives that these characters bring to the story because of their different origins in time make the player feel as if the entire world itself were coming forward to face this evil threat. This is not just a ragtag crew of characters: they are also living embodiments of different personal and temporal viewpoints that ultimately prove we are all making daily choices that, while not necessarily affecting the greater world around us, affect those whom we keep near to us in ways that we will never truly understand. And that, Dear Reader, is why Crono’s death at the hands of Lavos is so impactful. File away another point for the “Impact” section, because this is a biggie. After a fair amount of travelling through time, the plot converges on a battle with the evil Lavos, and at the climax of this truly epic fight, our hero, the character which the player has controlled the entire game, is vaporized by Lavos. “But Dan,” I hear you say, “Game-Overs are inherent to game design: of course you’re going to die.” No, no, my Dear Reader in the know: the story continues after this death, and we see what happens to a JRPG party when the leader—when you, the player—ceases to be an input as they understood to in the world around them. Each character’s reaction to Crono’s death is so palpably real not only because you feel as if they were calling out to you from behind the veil of the TV screen, but also because we have spent so much time, as Crono, getting to know them and helping them self-actualize. When that linchpin of characterization stops existing in their world, we see how they fall apart. The gang defeats Lavos and we get our happy ending (or one of several endings depending on how you played it—and again, stay tuned for the “Impact” section) and our story comes to a close. But, Dear Reader, the question remains: What is Chrono Trigger about? Well, keen-eyed players among you will know that there is more than a few hints at this game’s story being heavily biblical, what with the devilish Lavos falling to Earth and corrupting it from beneath the ground like Lucifer falling from Heaven, or the slightly more blatant messianic example of Crono sacrificing himself for the good of humanity in the face of the devil, just as Jesus Christ and countless other messiah figures in religions around the world have done. And yet, like a particularly insightful PAX-West-goer pointed out so well to us, why put that stuff in there at all? Couldn’t you tell a story like that of Chrono Trigger without shoving these religious allegories and symbolism into it? Why be so blatant about it? Like anything that involves Religious Studies, there are a few answers. The first and perhaps most obvious reason to do this is that this taps into a form of storytelling with which we are all at least nominally familiar. The so-called “messianic storytelling” that we see in so many different stories serves a twofold purpose. Fold the First: Because it is a story template that we are familiar with, we are able to ground ourselves in this crazy time-travel plot by realizing that it is the story of one man and his disciples fighting against a great and unknowable evil. Fold the Second: structuring a story like the Biblical tale of Christ makes us inherently think of certain morals quandaries and existential questions. For example, when you hear about the story of Christ, you may think about good versus evil, but you may also be prompted to think about temptation, the desire for self-preservation above altruism, or even the futility of mankind’s existence if all of creation has been planned out ahead of time. Jesus was sent to die on the cross, just like Crono was sent to die in front of Lavos on a course that could not be diverted that first time around. Are we really making choices if the story was planned out ahead of time? 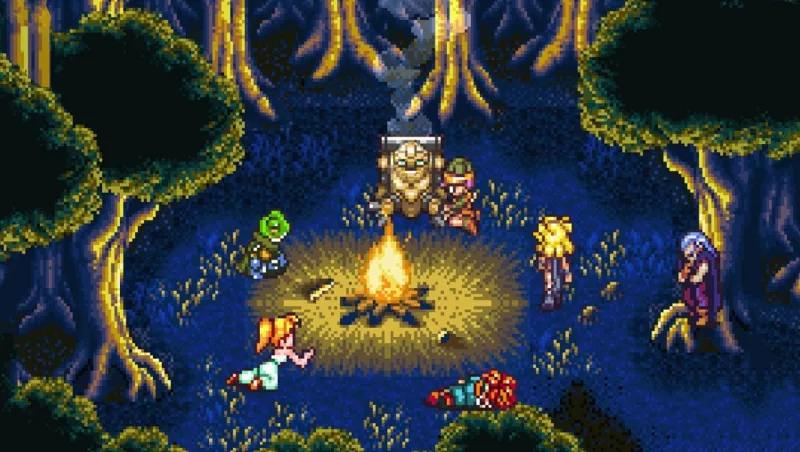 I may have sufficiently blathered on about how Chrono Trigger is a brilliant story, but I have yet to blather poetic about why it is such a perfect video game. When you look beyond the interpretation that the game is simply about good triumphing over evil through self-sacrifice and teamwork, you come down to the theme that no matter how much agency we think we have over events in our life, it is all pre-ordained by some outside force. Whether that force is some God, time itself, or, in this case, The Dream Team of developers who wrote out the story and turned it into an interactive experience, Chrono Trigger shows us that time, or narrative, is pre-ordained. So then, in an interactive medium that boasts player agency, how do we not come away from the game feeling broken, depressed, and like nothing we choose to do actually matters? Well, let’s go back to Vonnegut for a hot second. Remember, Sirens of Titan ends with the somewhat optimistic view that although events in our lives have already been determined long ago, the way that we react or mentally go through them is up to us. Even if, the cynics amongst you say that those feelings and reactions are also pre-ordained, the fact that we retroactively look on them as views we chose to have means that we give them meaning. Sure, everything down to the last synapse firing in your brain may be planned out ahead of time, but that doesn’t mean we can’t extract meaning from it. 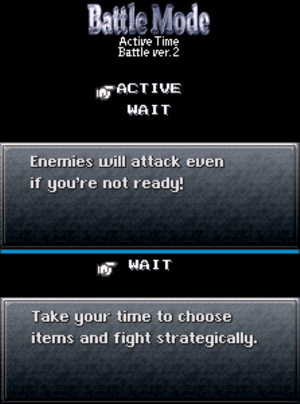 Not enough can be said about how brilliant Chrono Trigger’s battle system is. Whereas many of this game’s contemporaries bog down the player with level grind after level grind to add time to the game, Chrono Trigger cuts right to the chase and makes every single random encounter feel worthwhile and exciting. You are given the choice from the beginning between “Active” and “Wait” as your fighting styles—meaning that you are able to either move around the field and fight in real time, or have a more traditional turn-based battle system, respectively. The customization is wonderfully simple in this game, while at the same time affording the player several different ways to let battles play out. Each character is assigned an element, like fire or water, and can gain different special abilities called “techs” as they level up. Here we see another example of predestination and linearity being juxtaposed with choice and free will: unlike many other JRPGs, you cannot change the element assigned to the character, and the techs that they learn are all planned out ahead of time. There are no skill trees, no switchable magic types, and no way to change how your character grows as they level up. However, you are able to choose when to use which techs, even down to the choice of mixing and matching your techs with another character’s to inflict different types of elemental damage to different enemies. This not only makes strategizing fun and interesting: it also reinforces the ever-present idea that even when things are planned out ahead of time, you are still given the freedom to make choices here and there. What’s more, while the battles are exhilarating with all the different combinations you can make between techs, there are significantly fewer random battles than there are in other JRPGs. Most encounters are shown to you ahead of time as if they’re scripted, or as if you’re bursting in on a group of monsters who have been waiting for you. Everything, even down to the so-called “random battles,” shows the developer’s hand, reminding you that this is a pre-ordained experience you are walking through. Everything is planned, mate, even if it doesn’t seem it at first. The brilliant mind behind those hummable tunes is one Yasunori Mitsuda, a composer who cut his teeth at Square Enix in the sound design department. Around the time of Chrono Trigger’s development, Mitsuda threatened to quit the company because he was unhappy with his pay and wanted to compose music instead of presumably just plugging away at a computer, adding battle music to the latest Square joint. Ever the benevolent creator, Hironobu Sakaguchi suggested Mitsuda try his hand at composing for Chrono Trigger, and the rest, as they say, is history. Well, history combined with violent stomach ulcers, but history all the same. Mitsuda immediately went to work on composing the soundtrack for Chrono Trigger with the intent of making its sound stand out from other Square titles like Final Fantasy. He truly put his heart and soul into the creation of the soundtrack, spending many sleepless nights working tirelessly to make sure the game was truly unique in its music. After working himself to the bone and developing painful stomach ulcers, veteran Square composer and all-around decent dude Nobuo Uematsu stepped in to lend a helping hand. Yasunori Mitsuda was able to finish the soundtrack on time with the help of Uematsu, and what resulted is not only one of the best video game soundtracks of all time, but also one of the most emotional, exciting, and memorable collections of music to be produced in the last few decades. There’s not much else to say about the music apart from that fact that it’s brilliant, so let’s move on to visuals, shall we? There is such a wide variety of amazing set pieces and sceneries in this game that it kind of blows my mind. If you’re going to tell a time-travel story in which you go to multiple different points in time, this is exactly how you illustrate and animate it. Each time and area looks truly unique, with varying color palettes that make you immediately aware of where you are in which time period. 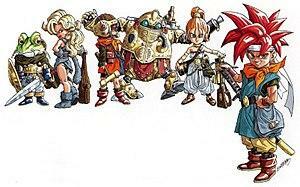 The characters, designed beautifully by Birdman Toriyama, both exude his trademark style while being different enough from Dragon Ball and Dragon Quest that I would wager you could pick any Chrono Trigger character out of a lineup of other Toriyama creations. There’s something about the past-meets-future aesthetic that gives this game a style all its own that has not been even close to replicated since. I think this may be the first time I’ve used this phrase, but Chrono Trigger’s visuals are, truly, one of a kind. Oh there were just so many pins in this entire article for this section, let me just go through my little pin-cushion here and pluck them out one at a time. Not enough can be said about how important Chrono Trigger was, is, and will be to the interactive medium of video games. Yes, it brilliantly told a story that makes the player question whether or not their agency in a story that has been constructed for them truly matters at all; sure, it was beautifully composed and visually designed by some of the best people to have ever worked in the games industry; and, of course, it was fun as all hell to play; but, you know what? That’s all just scratching the surface, baby. There are, as I see it, two things that Chrono Trigger did so well that it got the wheels of change a-turning in the wide, wacky world of RPGs. Let’s start small. First, remember the trial that happens in the game after you come back from your first jaunt to the past? Well, that entire sequence is not putting Crono on trial for scripted things that happened in the game: it’s putting you, the player, on trial for the choices you made in the opening sequence at the Millennial Fair. Maybe you decided to steal some lunch so you could heal yourself, or maybe you were impatient with Marle while she was talking to you and looking at candies and jewelry, or maybe you went to pick up that expensive-looking pendant before seeing if the girl who was carrying it was okay after you bumped into her. All of those little, seemingly imperceptible things that you chose to do in that scripted sequence at the beginning come back to either help or hurt you in that trial, and it makes you realize that although things are going to happen no matter what in this game, your actions may affect how people view you, or how you view yourself. Sure, things carry on as normal regardless of that trial, but you are now aware that your actions have consequences to those around you. Second, and more obviously, this game had an amazing and meaningful “New Game Plus” option. Once you beat the game the first time as scripted, you can go back, restart the game, and do things differently with all the gear you had in the last playthrough. Maybe you beat Lavos at a different time, or maybe you decide to kill Magus instead of showing him pity, or maybe you don’t resurrect Crono this time and go on without him. Who knows what you do, but hey, you’re given another choice to see yet another planned out outcome for you, which no doubt makes you question the choices you made in your first playthrough. Now, I cannot find substantial evidence that either the calling out the player for their actions in a previous scene or the concept of New Game Plus were completely unknown to the video gaming world before Chrono Trigger, but I can guarantee you that even if there are examples of these features existing before this game, no game before this used them to the effect that Chrono Trigger did. 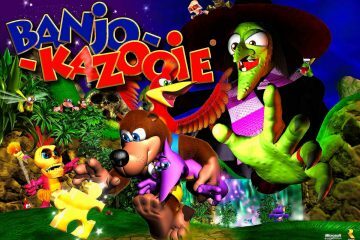 This game took the notion of time travel—going back and rectifying your mistakes—and took the logical next step: it allowed you to go back and play through after you had already beaten it, no longer with just your knowledge as a player guiding you through the events of the game, but now also with the progress you made in-game helping you along the way and making things easier. I have might have talked for too long about how Chrono Trigger blurs the lines between story and game, predestination and free will, and past, present, and future. However, I would be remiss if I didn’t mention an excellent point that was brought up at our PAX West 2018 panel in which we discussed with the audience whether this game deserved to be in the Video Game Canon. At this point in the panel, we had been discussing for quite some time the validity of injecting biblical metaphors into a game. We were fairly deep into discussing free will versus determinism when someone in the audience mentioned the campfire scene that takes place in 1000 A.D. after the gang meets up with Robo again after he’s been tilling the fields for so long. By that point in the game, it has been established that Lavos, that devil creature that has been terrorizing Earth for time immemorial, has been opening his own time portals and causing havoc across the temporal plane for as long as the game has been going on. The gang discusses this, but they also mention that they have had the distinct feeling that there is another force propelling them forwards—something not directly related to Lavos, but some force that wants to see things keep moving and progressing. This scene is touching, because it is the reunion between Robo and the gang after he has done a selfless deed for hundreds of years. 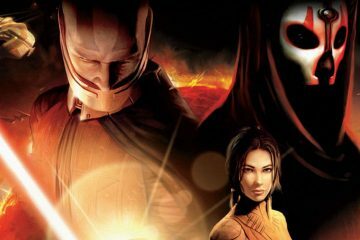 However, it also offers up the idea that the characters in this story, much like ourselves in this life, often question whether or not there’s all some plan behind what is happening to them, and that some benevolent force is acting on their behalf to see things through to a nicer end than Lavos would give them. Of course, they may as well be speaking to the player directly, telling her that even when we think we have control, there is always something behind it pushing us forward. Not necessarily to some horrible end, and not necessarily to some good end either. But just pushing us. Moving things forward. You know, I’ve been writing this Now Loading The Video Game Canon for over a year now, if you can believe it. We’ve also had the amazing pleasure of speaking about it at four different PAX conventions, in which we’ve asked the audience to pick a game and decide whether it should be in the Canon. We always try to emphasize at those talks that these articles aren’t meant to be the be-all and end-all decision on that, but rather a sort of jumping off point that keeps the conversation about these games going so that we can keep learning from them and, ultimately, keep enjoying them. 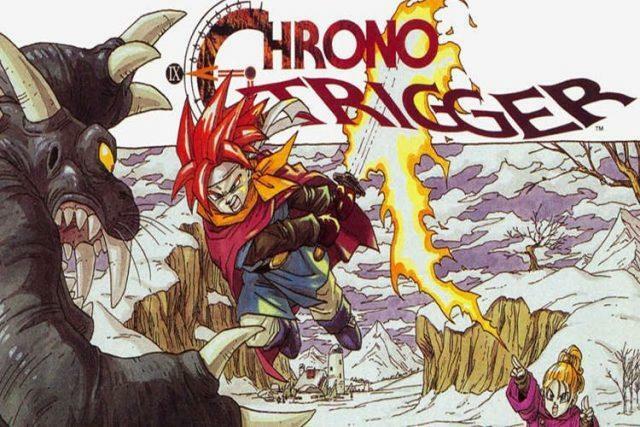 I was so pleased when the good people of PAX West 2018 chose Chrono Trigger to discuss, because it has always been a game that I just assumed was amazing: I had never really put much thought into why it is so good and so beloved by nearly everyone who has ever touched it. Well, I can safely say that the conversation we had at PAX West certainly got the gears in my mind a-turning, and I think that I’m better off for having looked so deeply into the themes and construction of this truly wonderful story. So thank you, PAX West, for engaging in the conversation. 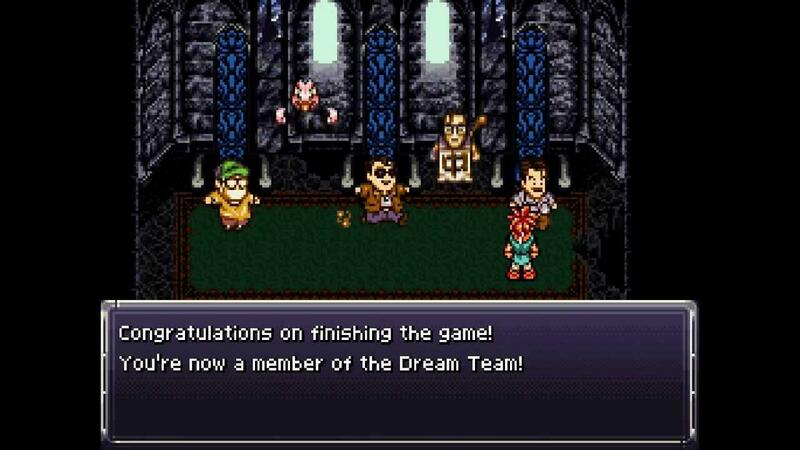 I hope to have many more with people about many more games, but in the meantime, I think we can all agree that it was predestined that Chrono Trigger would be remembered for all time in the Canon. Hopefully, you enjoyed the choices I made along the way. You forgot to mention the music was primarily done by Yasunori Mitsuda. 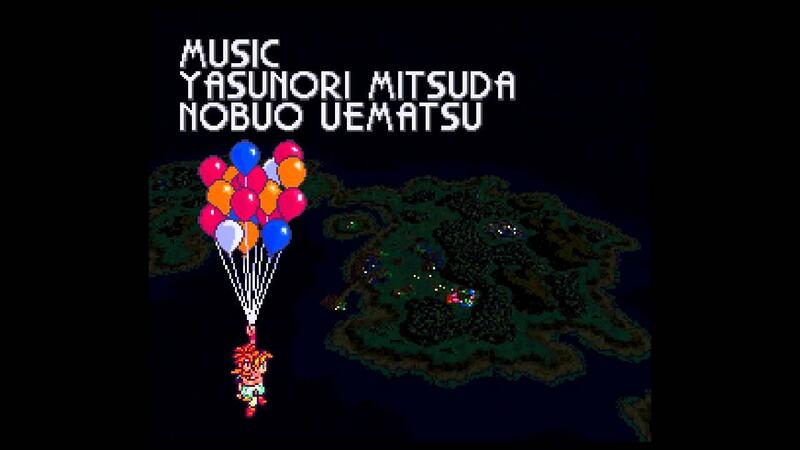 Nobuo Uematsu did compose a few pieces when Mitsuda was out sick. Thanks for pointing this out!  I’ve gone ahead and changed up the music section to reflect Yasunori Mitsuda’s work, and the interesting story behind it! Thanks again for reading!